Introducing a Learning Management System (LMS) poses a major challenge for HR, since there are a lot of aspects to consider. Here are our top 10 criteria that should be considered when searching for the right LMS. Choosing the right system requires the clearest possible setup of the system requirements. Not only the requirements themselves have to be identified, but also all people that will be involved. This refers to all stakeholders who are directly or indirectly influenced by this introduction. The greater the proportion of identified stakeholders, the greater the acceptance of the new LMS and thus the project's success. Therefore, it makes sense to begin with the identification of all participants before collecting the requirements. Depending on the relevance of the group, this must also be included in the preparation of the requirements. Unknown requirements, which are discovered later in the project and lead to reconfiguration or even post-implementation. This creates delays and additional costs in the project. By involving the relevant stakeholders, this risk can be minimized. If there is little or no experience with an LMS in the project team, it is very difficult to put together the requirements for the future LMS. The goal of digitizing existing processes and processes can only be planned with a transfer knowledge that in turn requires experience. Sharing experiences with other departments or companies that have already completed such an introductory project can be very helpful. Of course, the requirements for an LMS are always customer-specific and vary depending on the industry, company size, and scenarios. Basic functions such as course creation, course booking, approval workflows, test and feedback creation, use of a catalog, and mapping of learning paths in the course or in programs or modules are required and are not part of this top 10 list. The list focuses much more on integrating the LMS into the company's IT infrastructure and handling for its users. In many companies, mobile devices such as tablets or smartphones are part of the work equipment. Even if this is not the case in your company, the LMS should offer a responsive user interface so that you can offer mobile learning to your employees in the future. An additional app for IOS and / or Android should also be available if certain user groups use the smartphone mainly. It is particularly important to pay attention to what features the app provides and what roles it is suitable. For example, a learner should be able to play his eLearning content, and the supervisor can have a quick overview of the learning level of his staff. It is not absolutely necessary to set up notifications or course templates in the app, as the administrator performs these tasks on a PC or laptop anyway. The hosting model defines where the system is located and who takes care of the background tasks such as backups, updates, and system availability. Here, company policy can already dictate whether a system must be hosted on-premise, i.e. by the company's own IT, or whether it can also be in the cloud under certain security conditions. The hosting model of the vendor must match the business requirements. The own IT department must therefore be questioned and involved in order to clarify the technical requirements and to coordinate with the LMS provider. The LMS should be able to easily reproduce these requirements, so that there is no personal data breach when used in companies. Guidelines for data protection compliant data processing according to the EU General Data Protection Regulation can be found here. One requirement that does not necessarily seem to be in focus but that pays off in the medium term is the provision of updates and documentation from the LMS provider. Updates must be made regularly to ensure continuous development and troubleshooting. The provider must communicate updates in good time, so that you can schedule the downtime accordingly. Likewise, the provider must sufficiently document the functions of the LMS as well as new functions, so that you can understand them and if necessary test and use them directly. Depending on the complexity of the learning processes and the range of functions you want to use, it will be difficult to find a system that meets all your standard requirements. For some requirements, workarounds can be formed, but others must be mapped exactly as they are defined. Here it may be useful if the LMS allows custom adjustments. For a one-off surcharge, adjustments can be implemented that save time and costs during operation. Adjustments should already be estimated by the provider when choosing the LMS, so that these can be included in the total costs. 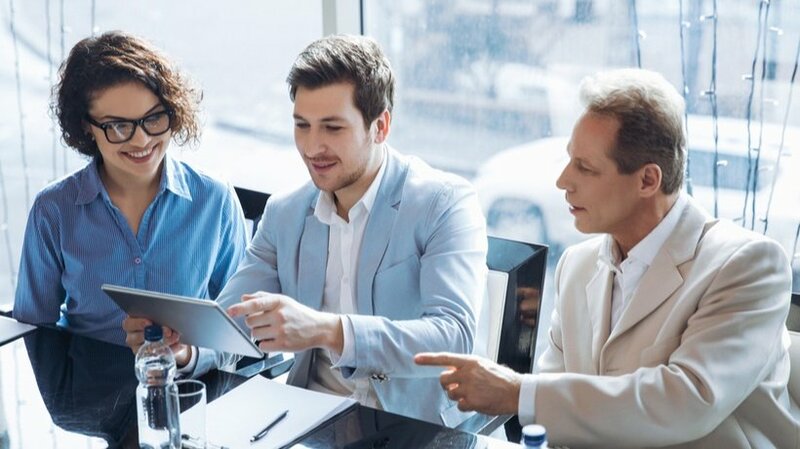 Even if it seems obvious that the LMS offers complete functions, it is often more appropriate and also necessary to connect other systems via interfaces in order to be able to use synergies. Common interfaces such as SMTP, SCORM, LDAP are the basis and should be fulfilled by every LMS. Further interfaces or a REST API also offer the possibility to connect other systems and to outsource functions here or to combine them with one another. Often, the quick and easy detection of completed training is one of the main reasons for the acquisition of an LMS. For this reason, reports for the supervisor, which graphically show how the learning level of his employees is currently up to date, are now also standard. However, it gets crucial if it comes to the details. For an overview, the training concept developed within the company is decisive. What is the quota of compulsory training? To what extent can the employee choose his own training? Are there well-defined training paths and development modules? Do certain training courses need to be repeated regularly? All these aspects directly affect the reporting requirements. Standard reports can quickly reach their limits here. 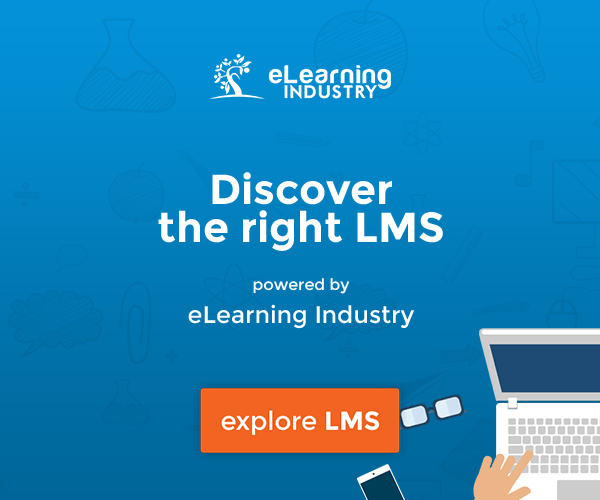 A list of the 8 most important reports for an LMS can be found here. The essential thing here is that you as a customer yourself can select the columns and filters of reports to show exactly what information is needed. Even if information changes over time, you can adapt it independently and thus directly and without additional effort in the report. Ideally, the application has a report designer so that own reports can be created here as needed. Otherwise, it must be clarified, which expenses can be expected when creating your own report. In addition to the course preparation, the booking process is an important workflow in the system, which must be checked for usability and efficiency criteria. The multiple choice of participants in the booking process should be mandatory. But also the function of an automatic booking based on certain criteria (for example all new employees or all employees of a certain department) must be possible. This saves time in administration and reduces costs. The same applies to trainings which have to be repeated regularly. The system should also be able to map such processes automatically. A point that may not seem obvious at the beginning is certificates. These are relevant to the learning success of the learner and thus also the acceptance of the learning platform. The certificate must be able to be adapted to the design as well as the text. All popular user data in the company must be insertable as a placeholder. Background images, logos, and other graphics can be added easily and quickly. Often, the editor is awkward in this area and/or important placeholders are missing. eLearning not only means that the learner can learn independently and independently of location, but can also network and communicate online. The learning platform also has to offer opportunities to reach the learners and create a togetherness. Be it through video conferencing, forums, or chats - the participant must also be able to establish personal contact with the trainer or colleague in order to exchange views, ask questions, or simply socialize. These top 10 criteria for LMSs are a first orientation in the selection of a suitable Learning Management System. Of course, these are dependent on the size of the company, the industry, and also the training strategy of your company. Important is clearly specifying the requirements, involving all stakeholders, and exploring the offers on the market.